Combine all ingredients in a saucepan over medium heat. 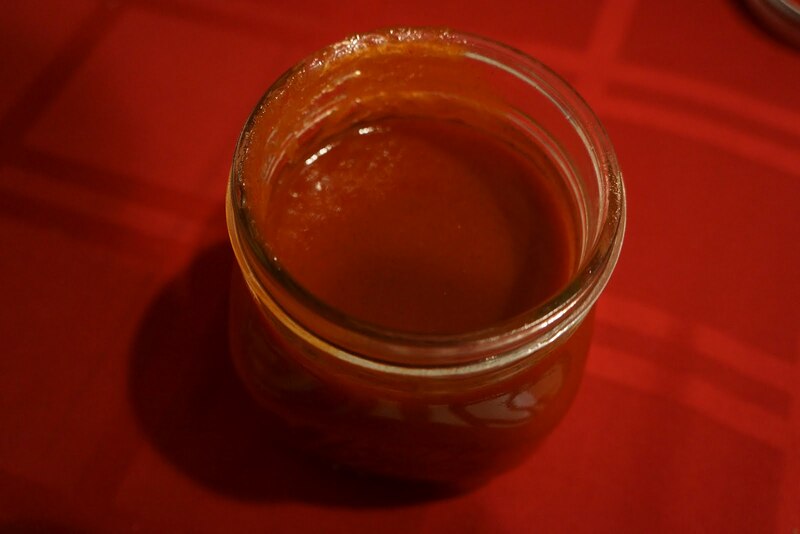 Bring to a boil, stirring frequently to dissolve the tomato paste and honey. Reduce heat to low and simmer, uncovered, for 30-40 minutes, or until the sauce is thick enough to coat the back of a spoon. Remove the sauce from the heat and pour it through a fine mesh strainer to remove the solids. Taste and adjust the seasoning as necessary. Use immediately while still warm, or let cool to room temperature and store in the refrigerator in a covered container for up to a week. Ribs like my pork ribs, not MY ribs. Ketchup definitely has no place on my torso. Agreed, wholeheartedly! Also, I just let out a very ladylike snort when I read your second comment.